In the 90s, Art Bell helped the paranormal go mainstream. Over 10 million listeners tuned in to Coast to Coast AM at its most popular and all of us here at See You On The Other Side listened faithfully. Art Bell was the soundtrack to hundreds of my dreams (and nightmares) as I would always put the radio on as I went to bed. In the days right before the emergence of the Internet, Coast to Coast AM provided a community and an outlet for fringe beliefs and strange encounters. This wasn’t a convention or a users group meetup or a small BBS in your town, this was paranormal discussion on your radio every single night of the week, all across the country. Art Bell’s deep voice was made for radio and his demeanor of patience and acceptance even while dealing with the most whacked out callers seemed custom-made for his topics. Art kept his calm no matter what, challenging his guests when they went too far, but at the same time never treating them dismissively. That might have been his greatest strength and the reason why he is so beloved in the community. That balance between healthy skepticism and credulity is what made him the perfect host. The paranormal is a tricky topic. You’re dealing with things that many people don’t believe in and will treat you as if you’re crazy if you do. It’s not an easy thing to talk about with respect to both sides, reality and the experiencer. Art Bell was able to straddle that line with a grace that no one else has been able to match since. Art Bell could make you feel welcome no matter what. Coming up in the late 80s, it was an era of shock jocks and confrontational hosts. It is a testament to the man that his show had the most outrageous topics, but had the most civil conversations. He created a community and a format that is still strong decades later, even after he retired. Coast To Coast AM still runs every night and has over 2.75 million listeners a week. 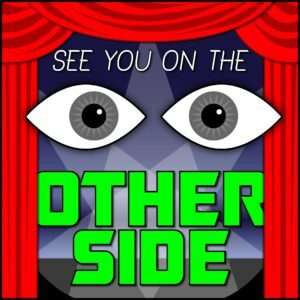 In this episode of the podcast, Allison from Milwaukee Ghosts, Wendy Lynn, and I discuss the impact that Art had on our lives. Wendy and I used to listen to him in our band van as we drove in the middle of the night, excited that we could pick up the signal and had something fun to help keep us awake. Allison was a Coast to Coast insider from almost the beginning and would let me know when the best guests were going to be on. Allison heard it live when the most famous call was placed. This “Area 51 employee” called in to warn the rest of the world about the disasters that were coming. His frantic, terrified voice and the fact that the satellite uplink broke in the middle of the call made for some legendary conspiracy discussions in the late 90s. 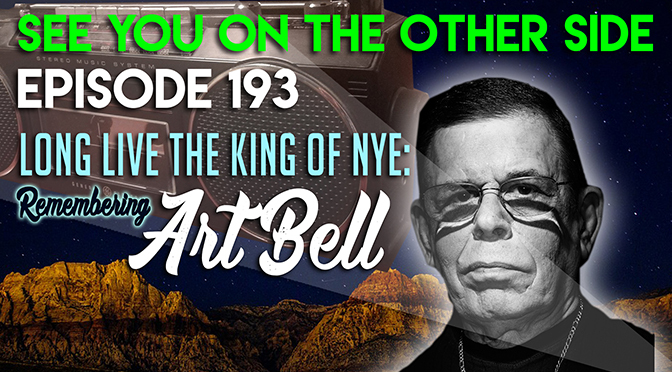 We remember the great Art Bell in this episode, from our favorite guests to his untimely and mysterious retirements, from his greatest calls to the time that I almost got through to tell my own story . Thank you for the memories, Art, and thank you for setting the stage for all of us. They still do it to this day on Coast to Coast, “Open Line Fridays”. They were (and are) some of the most fun (and most frustrating) episodes of the show. It’s an all-night free-for-all call in where they might have a “Vampire” hotline, which is a line dedicated to anyone who might be a vampire, that they can call in. Or it could be “alien abductees” or people who think that they’re “The Anti-Christ”, or any number of awesome paranormal propositions. You never knew what you were going to hear when they opened it up to the community on Fridays. That’s what this week’s song is about. We’re dedicating this special tribute song to Art Bell and the power of the community that he created. It was always ridiculous fun when the calls would come in and you never knew what you were going to hear when Art would say you’re “On The Line”. And who knows crazy things we’ll hear today? West of the Rockies you’re on the line.